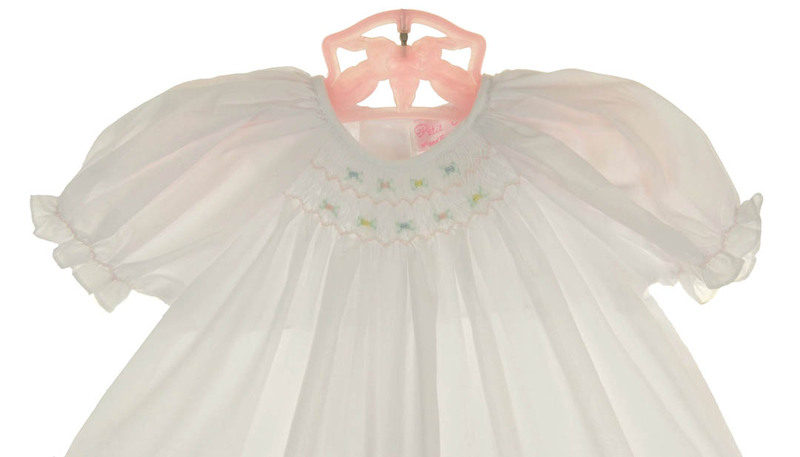 Made by Petit Ami, a leading designer of classic children's clothing for more than 40 years, this darling little white baby gown features a smocked bishop style yoke embroidered with tiny pastel flowers. The short puffed sleeves are finished with smocked ruffles. The dress closes in the back with three small buttons. 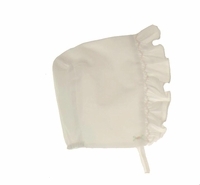 The dress comes with a matching smocked bonnet. Perfect as a take home dress for your baby girl or for her baptism, christening, or dedication! 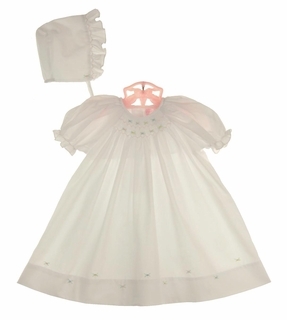 Note: This darling bishop gown is also available in pale yellow and blue. See below.